Bob Jordan never looked so young. Same with Danny Treanor. And remember Dave Walker from CNN’s early days? 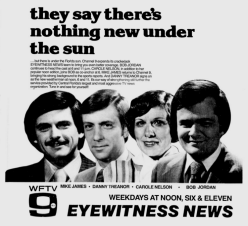 Before he went to cable, he was on the anchor desk at WESH-Channel 2, reporting “Newscope” each evening. Those are just a few of the many images you can view in three new galleries being posted on RogerSimmons.com today. We’ve spent the past several months going through thousands of pages of online archives of several area newspapers to create galleries of advertisements promoting Orlando TV news. We have compiled advertisements from the 1950s, ’60s, ’70s and ’80s. And we’re only getting started. 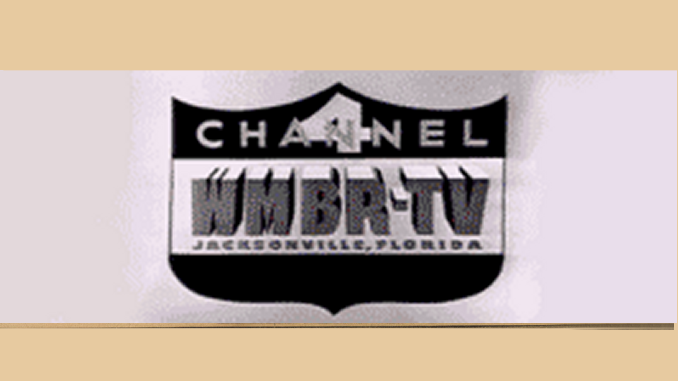 So click around and take a look back at Orlando TV history.